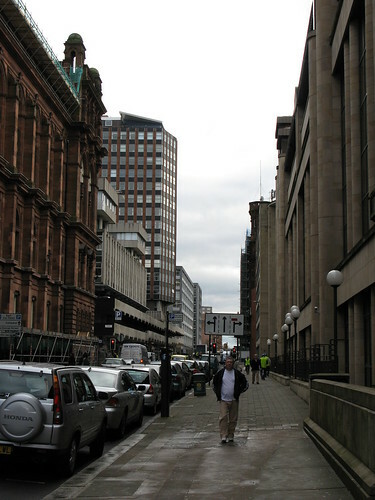 The Hidden Glasgow Forums • View topic - Films set in Glasgow, without squalor, neds, or gangsters ? A mate of mine told me that most of the US taxis, police cruisers and so on from the Glasgow filmed bits of World War Z are sitting rusting away in a junkyard somewhere on the outskirts of the city. On the first day of Salman Khan's next film Kick shooting in Glasgow, the crew faced with an accident. Watch the video to know more. Since we're (kind of) on the subject, am I the only one who thought World War Z was a load of shite? Nope. Absolutely spot on. You should e-mail your CV to the E.B.C`s Film Review. Apparently, the original ending was much bleaker. has the Madeline Smith story been mentioned here ?remember watching that years ago on daytime telly.set around Blythswood Sq. hambone wrote: has the Madeline Smith story been mentioned here ?remember watching that years ago on daytime telly.set around Blythswood Sq. There's a 1950 film (mentined on HG here), and an 1980 TV dramatisation. Found 1st few mins of the 50s David lean version of Madeline Smith story on youtube,strange to see a panoramic view of Glezga with no tower blocks. Great find Mori. As you say, a Glasgow without tower blocks. Nice find on the movie. this needs fixing, job for later . click on it for slightly bigger version. So what building are they on top of. beneld wrote: So what building are they on top of. The Creeping Spleen wrote: A mate of mine told me that most of the US taxis, police cruisers and so on from the Glasgow filmed bits of World War Z are sitting rusting away in a junkyard somewhere on the outskirts of the city. I wouldnt think all of them are,, a lot of that stuff was on hire. Two of the cruisers came from a prop company in london. The bin lorry and the cars that got crushed in the main Glasgow scenes might be though. ask your mate where he saw them.